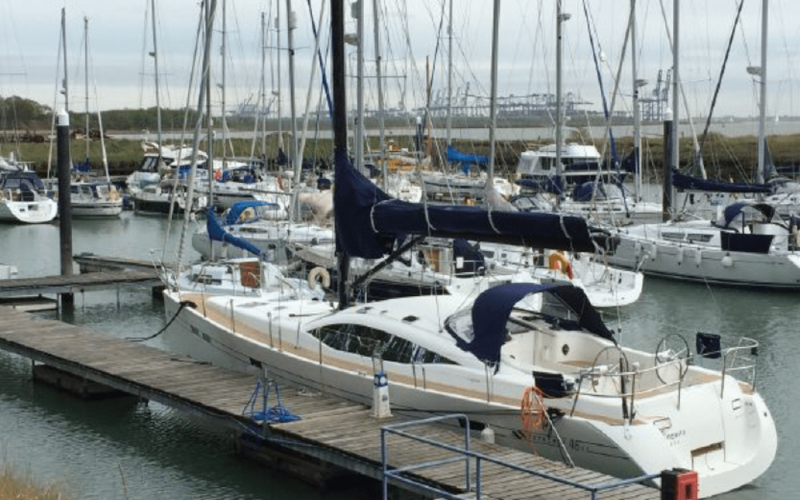 In 2004 Northshore Yachts, based in Chichester in the UK approached Ker to design a new lifting keel cruiser to start the re-vamping their existing Southerly range. Starting with a clean sheet of paper, incorporating the lifting keel system and ability to ground on the beach, Ker used their extensive knowledge gained from designing winning yachts since 1998 to produce a ground-breaking design in this market. 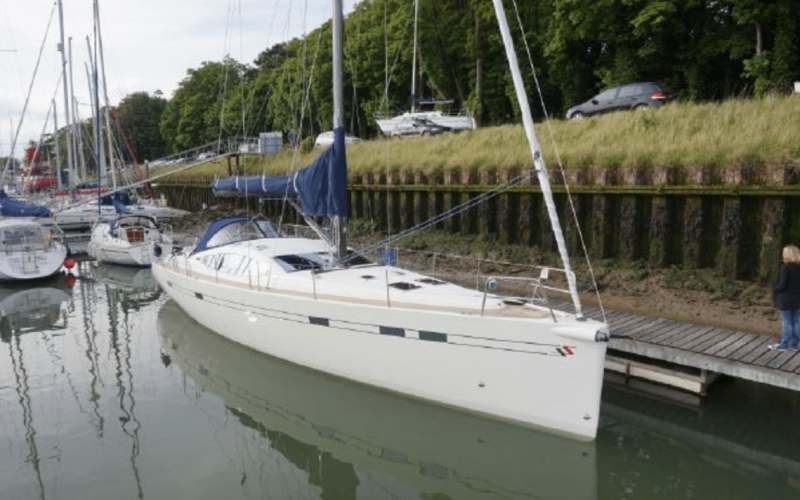 The result is the Southerly 46RS, a high-performance cruiser, designed for the discerning sailor, with the interior designed by Design Unlimited and built with the care and quality that Northshore Yachts are renowned for throughout the range. 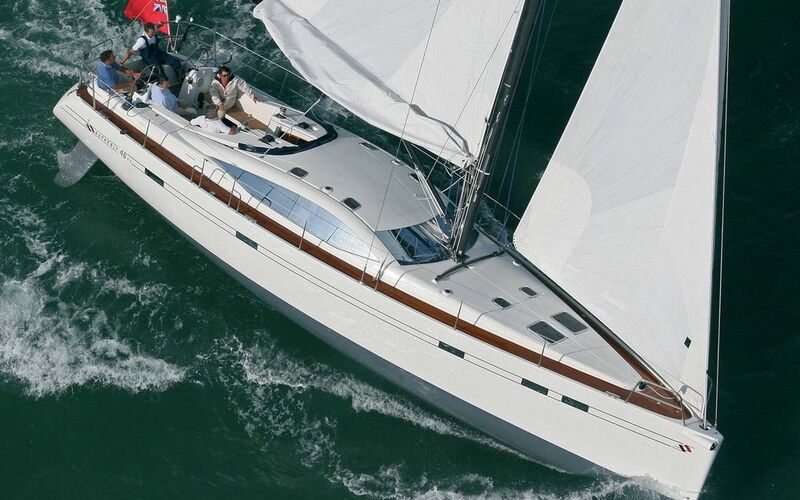 The new Southerly 46RS is a performance orientated evolution of the Southerly with racing yacht technology, for an all new high-performance cruiser design. Incorporating some innovative cleverly engineered design features, the Southerly 46RS will deliver an exceptional sailing experience and excite the truly discerning cruising yachtsman. The excellent performance and sleek lines borrow heavily from the racing yacht heritage and when combined with the key elements of the Southerly, creates a yacht that is worlds away from most production cruisers. Without compromise to its cruising purpose, the yacht is beautifully stylish and exudes elegance and simplicity. The designers are renowned for producing fast seaworthy yachts that have won many major offshore races. Combining their expertise with the experience from Northshore Design Office, this innovative model marks a key milestone for Southerly resulting in the ultimate performance cruiser. The backbone of the yachts structure is the cast-iron grounding plate which connects with a spiders web of frames and longitudinal girders. The engineering of the hull, deck and supporting structure allow for excellent sailing performance without compromising, the yachts ability to cope with the different environments of the seas. While the structure is robustly engineered, considerable weight is saved using modern materials and techniques. Some of the weight saved is packed into the keel, allowing an easily driven hull to be used whilst the rest of the weight saved has been kept out, to create a yacht that feels alive and is fun, fast, and effortless to sail. 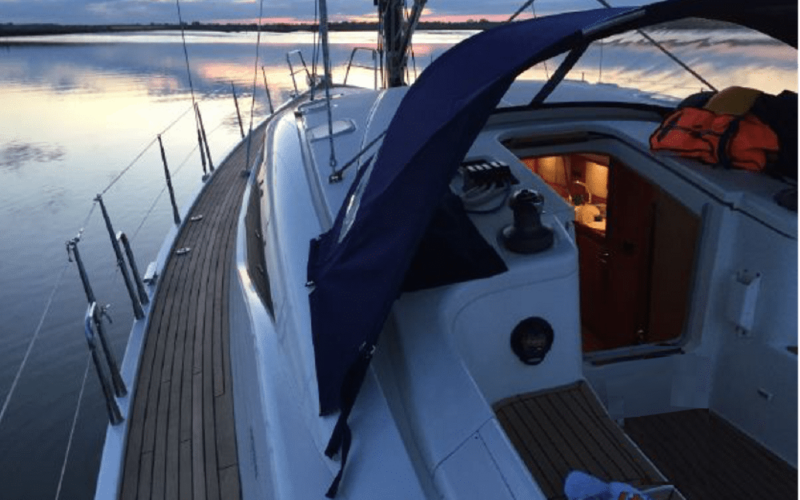 The highly developed Swing Keel system provides a variable draught of 10'10'' (3.3m) - 2'9'' (0.85m) for total freedom to sail shallow waters. 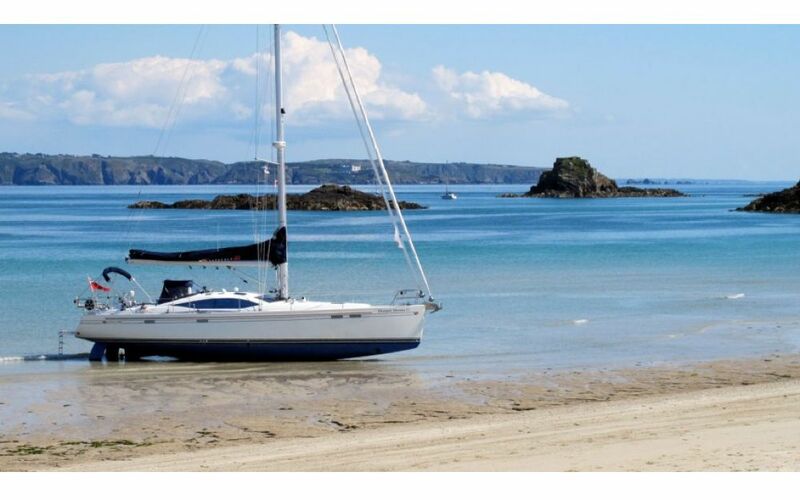 The keel can be raised at the touch of a button, perfect for shallow water sailing and for exploring coastlines. A fixed keel option is also available. The semi-balanced twin rudders give instantly responsive steering and precise directional stability. The powerful rig is fully tamed with modern reefing and furling systems, enabling the yacht to keep sailing fast and efficiently in all sailing conditions. The self-tacking furling jib means the yacht can be easily sailed by just two people, with minimal effort. The mast is a simple two spreader rig with swept back spreaders to provide great stability. A hydraulic adjustable backstay allows control of the forestay tension for enthusiastic sailors who want to get that extra bit of upwind performance. The optional carbon mast provides increased stiffness and strength, with a much lighter weight for considerable benefits to stability and performance. An optional bowsprit allows short-handed setting of asymmetric spinnakers and by projecting the sail further forwards, balance is greatly enhanced while reaching, allowing the yacht to effortlessly maintain large mileages at high speeds. The deck layout is designed for the ergonomic efficiency required by the enthusiastic sailor. The hull to deck joint forms a raised bulwark for secure footing and ropes are fed back to the cockpit, hidden away to leave the deck clean and uncluttered. An excellent twin wheeled helming position and sail controls that are easily reached.